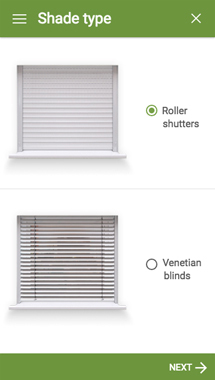 The Konfigurator is a web application that supports your complete offer of doors, shutters or blinds with visual presentations. Your client or business partner can choose colors, materials and models of any element themselves, combining them into the desired end product, which is presented even before they submit the inquiry. Are you wasting money on catalogs that are outdated after a few months? It is time to switch to digital. We do not believe in just basic ideas. With the help of the experience and knowledge of our customers, the Konfigurator has been upgraded into something greater: a set of verified solutions that facilitate everyday processes which also you, the providers encounter. Vizualis is a team of dedicated and passionate people specialized in software development, marketing, and design. 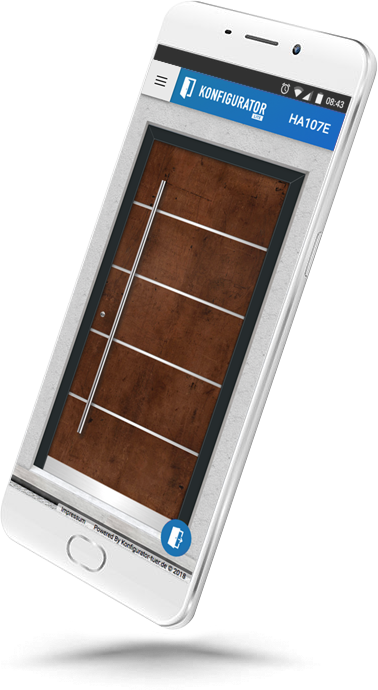 We provide handcrafted, high-quality software solutions for the door manufacturing industry, but with a visual edge! "We have been thinking for a long time how to approach customers in a more direct, interesting way. The Konfigurator has not only enabled this, but has also upgraded it. We now offer our customers a creative and comfortable presentation of all options, as they can see the product already during the purchasing process. A quality visual presentation is of key importance for our company, therefore the Konfigurator has become an indispensable tool for us. " "Our customers often ask for specific product features, which have taken up a lot of our time in the past. It often happened that they could not find what they had wanted in catalogs or online. The Konfigurator has eliminated such problems in the past by providing our customers with quick access to various options we offer. We have also relieved our sales department, as inquiries now come directly from the Konfigurator. " "We were not sure if we could fully trust him - especially regarding the integration into existing sales processes - it turned out that its application is simple, and the concept of demand, with which we already get all the necessary specifications of the job, is very suitable. In our industry these more modern online approaches are missing, so we're benefiting from additional digital access that reaches customers." 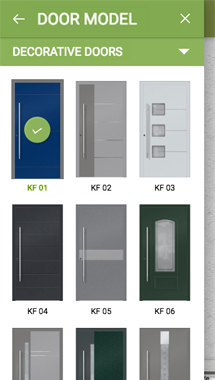 "The front door configurator has very quickly become an excellent sales tool. Our customer gets his desired front door in just a few minutes. Both, the time savings and the easy handling speak for themselves. The graphical integration of the door into your own home is the top on the cake of this great application - our customers are thrilled. A compliment to all developers who have made this project possible and continue to accompany us!"